Who has a blank and boring wall that needs a little revamping? 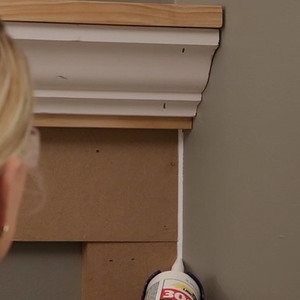 This is a super easy and inexpensive project that works great on any wall in your house! We are going to show you how to get a customized board and batten look using a few boards and some of our favorite Ryobi Power Tools! Before making any of our cuts, we have drawn our wall out to help us plan how much wood we will need and where we will place each board. We decided to have our MDF ripped from a full sheet at the Home Depot, rather than purchasing individual boards. This saves time and money. We are using ½” MDF for the paneling on our wall. We had that panel ripped into twelve 3.5” boards, and one 7.5” board. Start by attaching your horizontal boards first. These will run the full length of the wall. Our first board will be placed at 40” from the ground. Use one of the 3.5” boards for this piece. 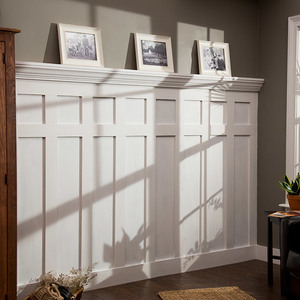 If you already have existing baseboards, you can start these boards just above those as well. Make sure to use a level on this part to keep this board straight. 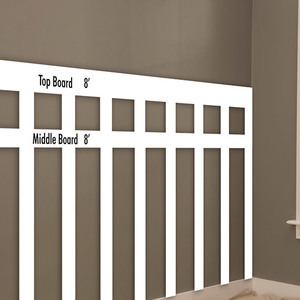 Add a line of panel adhesive to the back of the board, and use the cordless nail gun to attach the board to the wall. Now we are ready for our top board! This board is the same length as the one we just attached, but we are using the 7.5” board. Line up the base of this board 8” from the top of the bottom board, and attach it the same way. Now for our battens! Let’s start with our longer bottom boards. Each one of these will be 40” long. Start with your outside piece first. 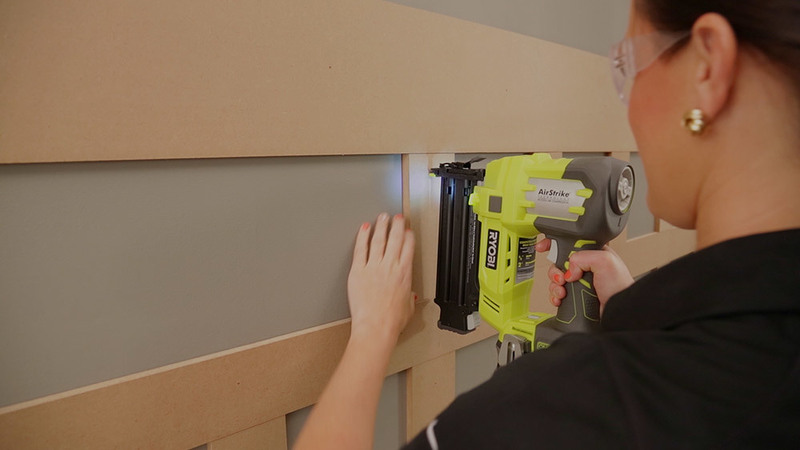 Run a line of panel adhesive down the back of the board, and attach it using the brad nailer. We like to use 4-5 nails per board. Now attach the rest of you longer boards using the same method. We have chosen to place our battens every 8”. To finish off the top, we are going to layer a few different pieces of wood. Start by attaching your 1x4 with adhesive and the nail gun. This board will sit right on top of the top horizontal board. Both boards will be flush on the top. Next, we are going to add the top shelf piece. 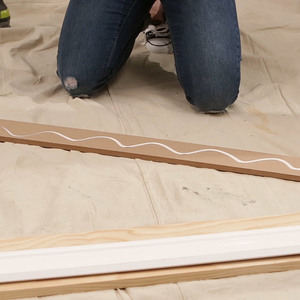 Run a line of wood glue along the top of the two boards you just attached. Lay the other 1x4 board flat on top of these, and attach it using the nail gun. Our final piece to add will be the crown moulding. This will attach to both 1x4 pieces. Use the cordless stapler on to hold the crown in place. Time to finish it off! 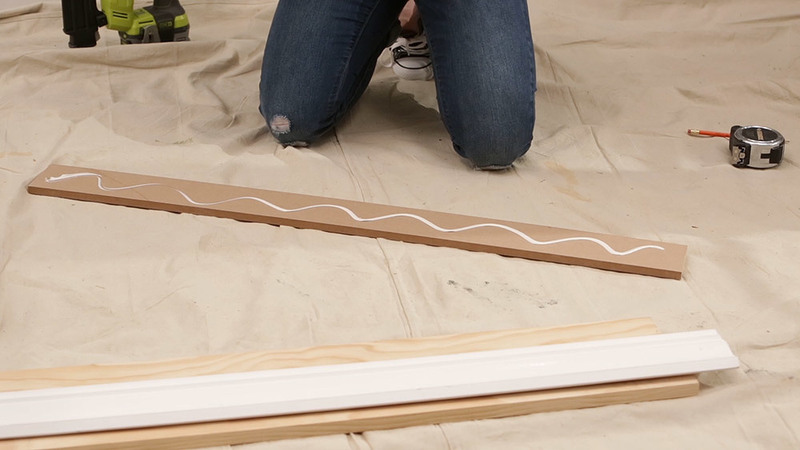 Before painting, be sure to run caulk down all of your seams, and fill any holes with painter’s putty. 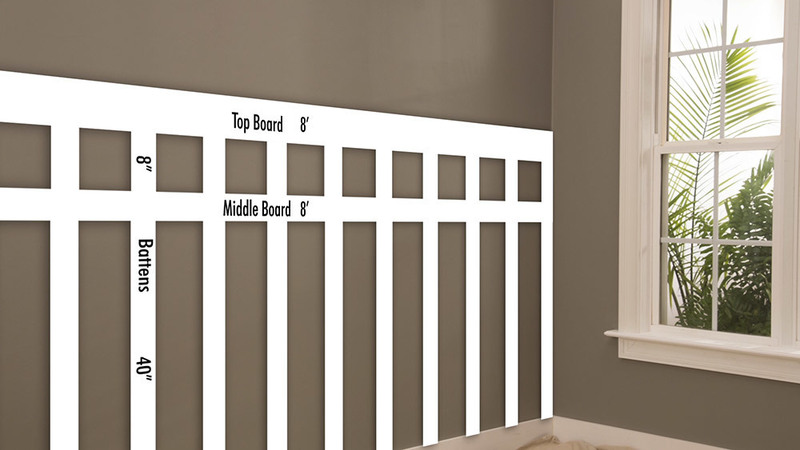 Paint all of your boards and the wall between the same color, and you are set! 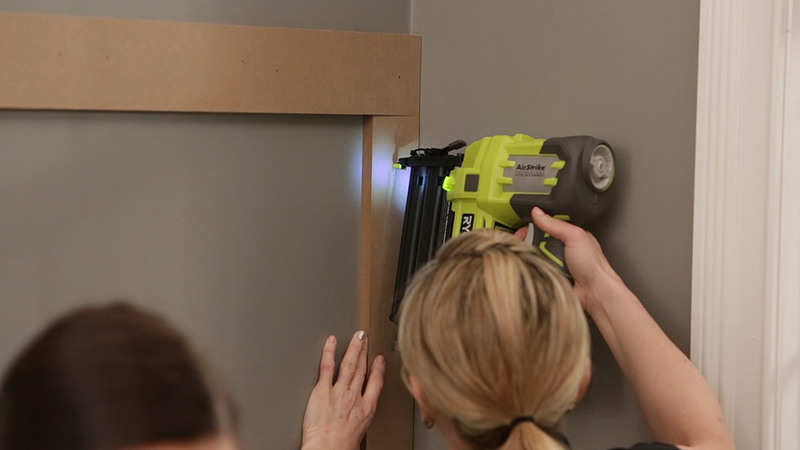 For under $100, and in very little time, we have created a fun, custom wall treatment with the help of our Ryobi power tools. Thanks so much for stopping by! Happy Building! I love it and had planned on doing this for our new handicapped bathroom. I love your instructions, but when I went to Home Depot, I was informed that they would not make cuts under 12 inches. Does the cutting occur at only some Home Depot locations. And I did not mean to take away from your project or instructions as the project is better than the one I planned and explained so well. Thank you and just in time. Thank you for putting this video tutorial together! I've been wanting shanty2chic girls to post more how to's, this is great! So gorgeous!! Thanks for the tutorials! I used to work at Home Depot and we were not allowed to do rip cuts (under 12 inches.) I would be very surprised if you were able to get someone to do these cuts for you there. That being said this looks great and luckily I have a table saw to do these cuts myself! Surely you mean feet (') and not inches (") when talking board cuts here, no? Very confusing. Thank you! My only question...Is there a good formula to use when measuring how many battwns you should have on each wall? I just bought my home a little over a year ago and one of the first things I said was that I wanted a wall like this in my dining room. I have been looking for just the right tutorial for this and yours fits the bill!! Can't wait to get started on it! Very nice job! 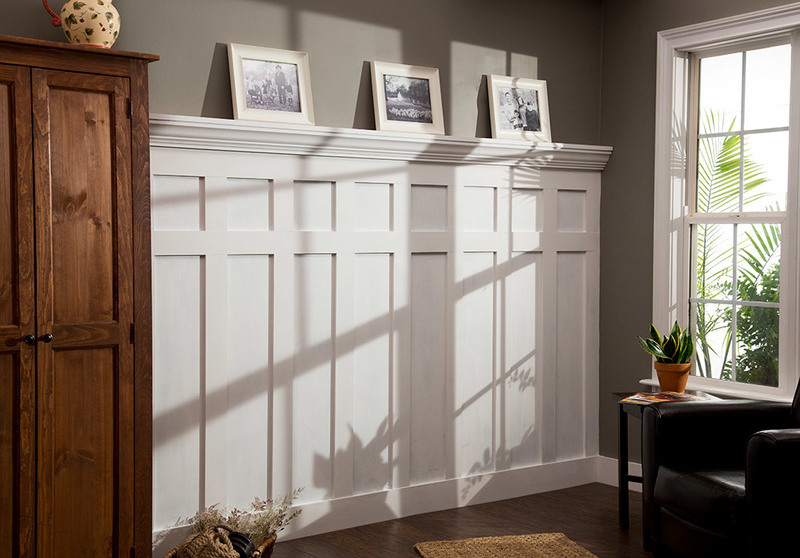 Were your walls textured to begin with? I have plans to do board and batten in a couple of rooms, but my walls are textured and I think it will look funny if I don't either sand the texture off or cover it with 1/8 inch mdf. What paint color did you use? It's beautiful! Please include all supplies in the materials used that are used in your video...no mention of crown molding or the 1x4s?? This is absolutely beautiful and would look best in my two hallways. I can't wait to try to accomplish this feat. Who has a blank and boring wall that needs a little revamping? We have your solution! 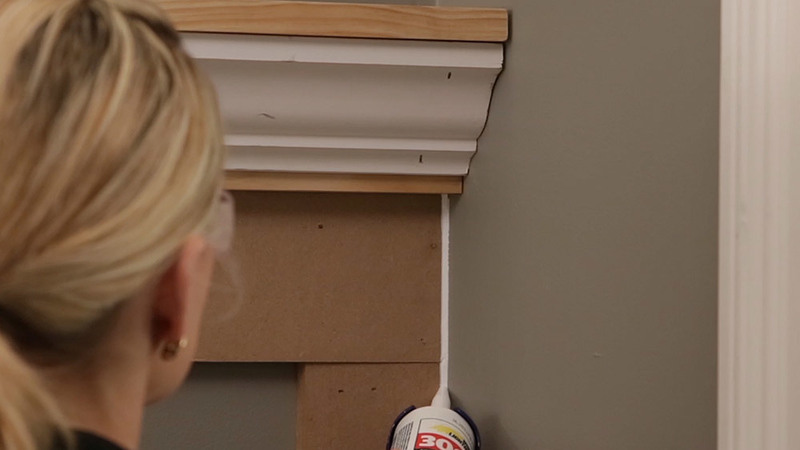 This is a super easy and inexpensive project that works great on any wall in your house! We are going to show you how to get a customized board and batten look using a few boards and some of our favorite Ryobi Power Tools!